NASHVILLE, TN — And now it’s a race. Despite business leaders’ best efforts to make the election to replace former mayor Megan Barry a coronation for David Briley, the former vice-mayor – now holding Metro’s top job after Barry’s resignation – faces some formidable opposition. As expected, Metro Councilmember At-Large Erica Gilmore made her candidacy official with a Wednesday morning announcement. 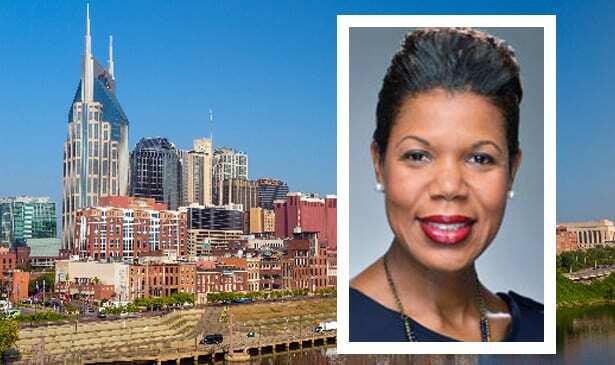 Gilmore, 42, represented District 19 – Germantown, Salemtown, parts of North Nashville and downtown – for two terms before being elected to the at-large spot in 2019. Gilmore cited a ballooning homicide rate and growing economic inequality as key reasons she should run now, rather than wait for the standard mayoral election next year. Gilmore received the second-highest number of votes among at-large candidates in the 2015 election with particularly strong results in the traditionally African-American neighborhoods north of downtown. “My whole life, I’ve been a builder of bridges, bringing people together across differences in politics, background, class, and geography I’m eager to bring these leadership skills of collaboration, partnership, and coalition-building to the mayor’s office. It’s what a growing, diverse, city on-the-move like Nashville needs,” she said. Gilmore had clearly been thinking about throwing her hat in the proverbial ring, having appointed a campaign treasurer the day after Barry’s resignation. The special election is scheduled for August 2, though the Tennessee Supreme Court will hear a challenge to that date, as some argue the election should instead be scheduled for May. Other potential candidates, including businessman and 2015 mayoral race third-place finisher Bill Freeman and longtime sheriff Daron Hall, have opted out of running. Nashville NAACP president and former Metro councilmember Luddye Wallace is officially a candidate and is the plaintiff in the election-date case.